I just had to write a Four Favs post this week because I found something new that I'm in love with -- and that's all it takes. I love to share my new (and old) favorite things, so getting to write about them periodically is so much fun. Hope you'll both enjoy and share these ideas and let me know what you thought. I know that a bunch of people bought my North Face jacket after the last one (visit it by clicking here: http://blog.paigemcdaniel.org/2014/02/four-favorite-things-i-love-right-now.html ), but I never heard back if they liked them -- gosh, I hope so. 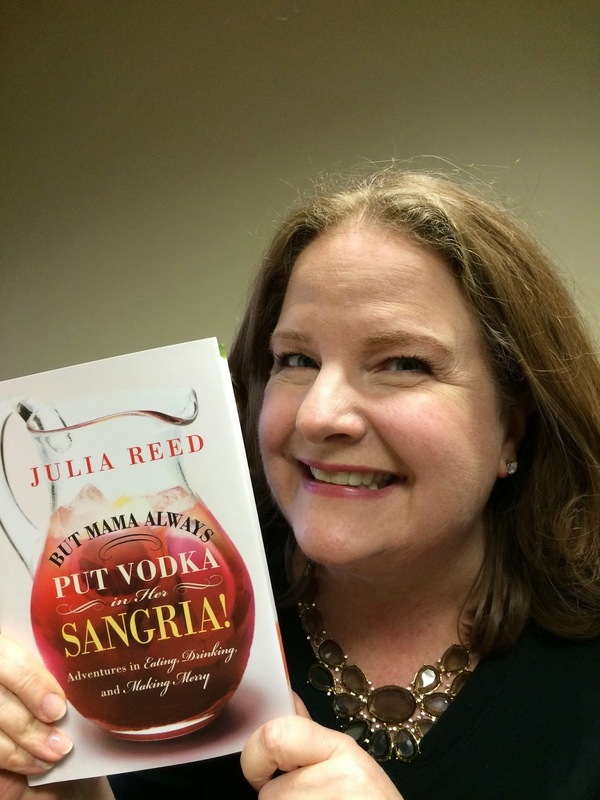 How could I possibly write a post during the week of Community Partners of Dallas' Chick Lit Luncheon without giving you my favorite book by our author Julia Reed? Her latest memoir is called But Mama Always Put Vodka in Her Sangria -- it is hilarious, chock-full of recipes, and fun -- if you are missing the luncheon Friday, you're going to miss a great one. Read this book! 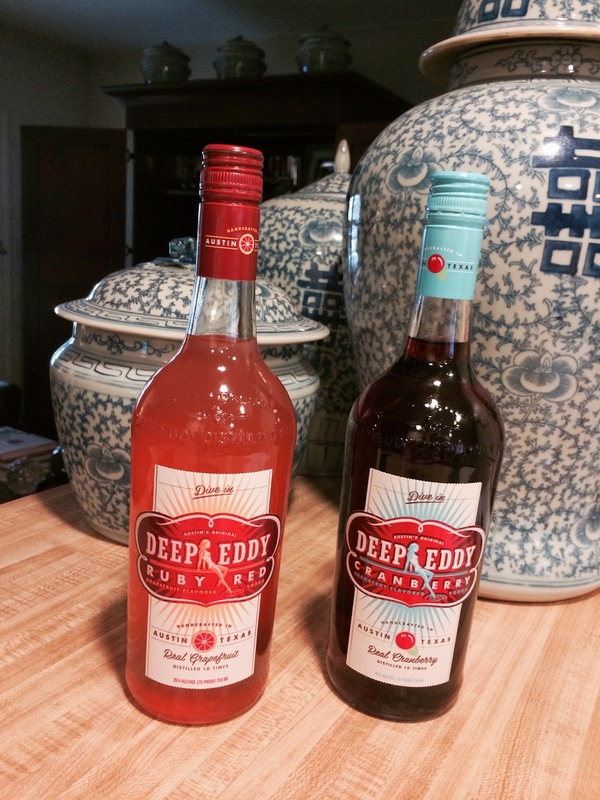 My neighbor and her friends were all raving about Deep Eddy Ruby Red Grapefruit Flavored Vodka the other night. When she brought me an airplane sized bottle, I knew I was hooked and jumped over to PK's last night to stock up. All you need is ice, club soda, a lime wedge (I use 1/4 lime for each drink), and this delicious stuff and you are in refreshment nirvana. PK's also carries the cranberry flavored one, so I bought it too. Texas vodka -- it's what to drink! I absolutely love my Happiness Pots from Wisteria http://www.wisteria.com/Happiness-Pots-Set-of-3/productinfo/W1812/-- you can see them behind the vodka in the photo. The tall one is HUGE and the three together really make a statement. I bought a bunch of the small ones to hold orchids to decorate my birthday luncheon last year and they are now living in my den. They are not cheap, but wow. It's an oldie but a goodie, but I just about inhaled my Chicken Lettuce Wraps from Pei Wei at lunch yesterday. The only thing wrong with it is who needs lettuce to healthy it up? Wish I had some left over for today. What are your new favs?